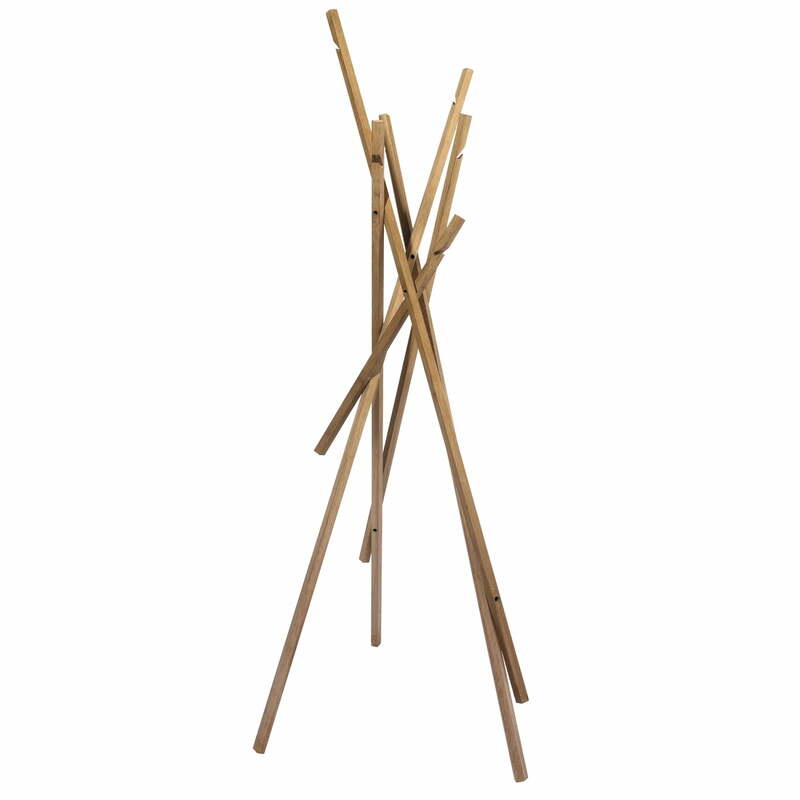 Sticks is a coat rack by the designer Michael Schwebius for Schönbuch. Each hall stand consists of six massive five-edges cut, wooden rails. There is a notch at the upper sides to hang clothes or hangers on. Schönbuch manufactures the coat rack Sticks in the workshops of the Dominikus-Ringeisen factory in the Maria Bildhausen monastery, where employing handicapped people has a long tradition. Complete furniture pieces as well as furniture components for different Schönbuch programs are produced in their workshops. Sticks is completely made of solid wood. Schönbuch offers the coat stand in different wooden versions and in a mini edition.